Let’s not kid ourselves! 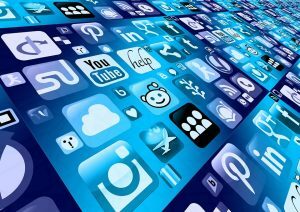 We live in the world where social networks are our new reality. Even though studies show that mindless scrolling through Facebook or Instagram causes feelings of depression, loneliness, resentment and lowered self-esteem, people tend to do it more and more. One of the common ways used to fight this low self-esteem is to share photos that will project our own envy-inspiring social media persona. What can be more envious than selfies from one of the greatest cities in the world? What can be cooler than pics from a nightclub in a city that never sleeps? 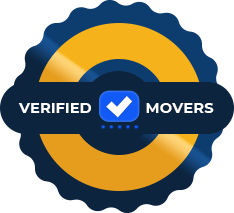 Dynamic Movers NYC are here to help with anything related to your NYC relocation. We even though of how you will portray yourself on social networks! So here is our list of most-instagrammable places in New York City. We are all guilty of trying to project a better image of ourselves on social media. NYC has been photographed from every possible angle throughout history. If you want to up your Instagram game by being unique, good luck with that! 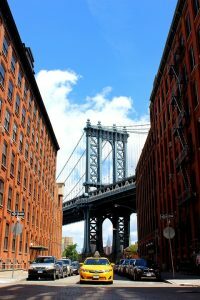 The down under the Manhattan Bridge Overpass (DUMBO) will give you that classic shot of a famous NYC landmark. The brick buildings on either side provide the perfect frame for the beautiful Manhattan Bridge and we might add, you underneath it. You won’t have a bad shot in Flower District! How can you, when this is the version of NYC framed in beautiful flowers from around the world! Probably the best part about one of the most-instagrammable places in New York City are the fragrances! The trick here is to be there early in the morning to get the best pick of the crop. We have no doubt this post will be an instant hit on your profile-no filter required. Wedged between Fifth Avenue and Broadway, this unique building is well-recognized around the world. A cute picture with the building in the background is a cool way of saying: “I’m in NYC!”. Can you imagine this famous landmark and one of the most-instagrammable places in New York City was scheduled for demolition? The building got it’s unique shape when it was built in 1902, due to the irregular narrow plot of land. Try to get the most narrow side in the frame, therefore, maximizing the coolness effect. And don’t worry about being hit by a car. There is a small plateau in front of the Flatiron, which is perfect for posing and taking pictures! No introduction required…well ok, we have to write something! After moving to NYC list of top free things to do is a must, due to a costly relocation. One of the great ways to get to know this amazing city is to tour its streets for most-instagrammable places in New York City. We don’t have to mention that this is pretty much free as well but profitable for your news feed. The Friends apartment building is easy to find and you will get instant recognition from your followers on ‘gram! The instantly-recognizable building is on the corner of Grove and Bedford Streets. The visit is with your friends and fellow fans of the show and relives your favorite moments from this famous sitcom. Another legendary show and an instantly-recognizable Instagram post. Therefore, snap a photo in front of the legendary steps and get loads of comments from your girlfriends! Just the fact that you are standing there in front of Carrie’s apartment will bring tears to your eyes. It is almost magic to find yourself inside of your favorite show that brought so many memorable moments and life lessons. 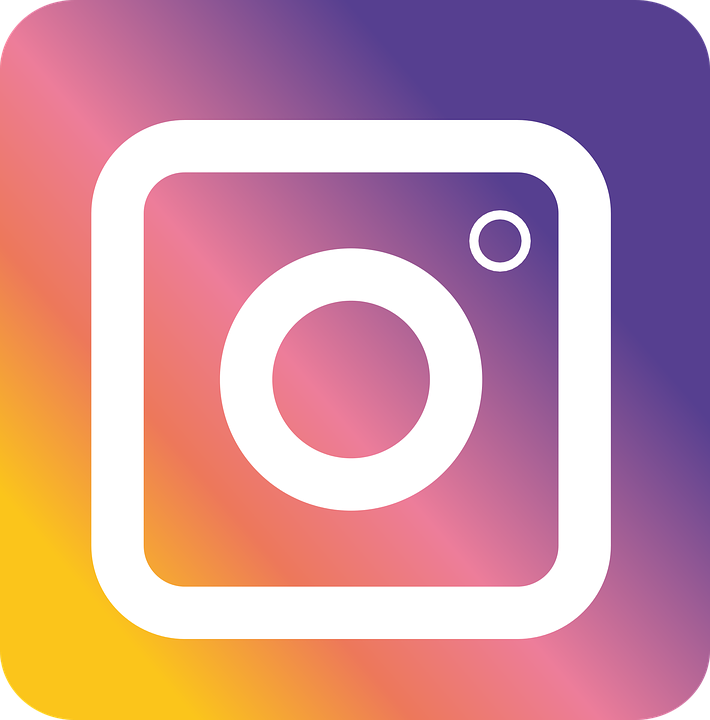 This is truly a must for your Instagram feed! Although, the only thing you should be careful of is not to disturb the people who live there now. They probably already regret buying Carrie’s place. Let’s not forget NYC food as a very important factor in your ‘gram game. Sweet Moment is one of those cool new places that are just starting to appear on Instagram feeds, therefore, giving you a hipster edge (being cool before it was cool). What people praise about this trendy SoHo place are its colorful deserts, lattes, and blended drinks. What makes it perfect for any Instagram feed is its latte art, tons of neon, interior design details and best of all natural light! 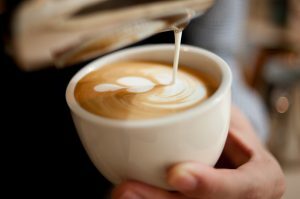 Latte-art is a must on every feed! I don’t know if you noticed, but we didn’t number a lot of obvious most-instagrammable places in New York City. We are trying to be “cool” and “unique” as much as it is possible for your local movers in NYC. That said Guggenheim is a very popular tourist attraction but what is very cool about it (among other things) is the museum’s rotunda. Its minimalist, geometrical architecture and white color will make a great addition to your feed, no matter the angle. Try to be creative with perspective and angles for maximum effect. This is a shot for your “regular Joe” on Instagram. Not everyone has to be super-weird-artistic-minimalist-hipster on social networks! The frame is simple yet so cool: your hand holding a cold sweaty beer in focus with the Yankee stadium blurred in the background. Isn’t that just the coolest share, tag in, post ever! You will get an instant following and envy from all your buddies! Whatever your Instagram game is, it will surely pick up after a post inspired by some of these most-instagrammable places in New York City. Yet, we didn’t even scratch the surface. If you are a pro at this, we are sure you will do your own research. Some people are simply gifted for social media and will instinctively find the next best instagrammable place. For those who are looking for some more ideas, we suggest reading our NYC nightlife guide. A couple of those nightclubs have the best views of Manhattan!